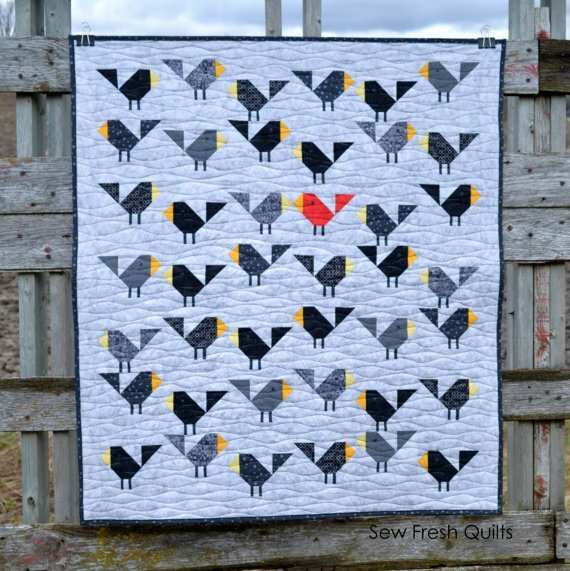 Black Birds by Lorna McMahon for Sew Fresh Quilts. Pattern Only. Finished size- 40 in x 46 in. Skill Level- Advanced. 40" x 46"